At Welcenbach Law Offices, We Help Victims of Consumer Violations. In 2017, Welcenbach Law Offices prevailed in the Wisconsin Supreme Court in a class action lawsuit they brought against Healthport Technologies. 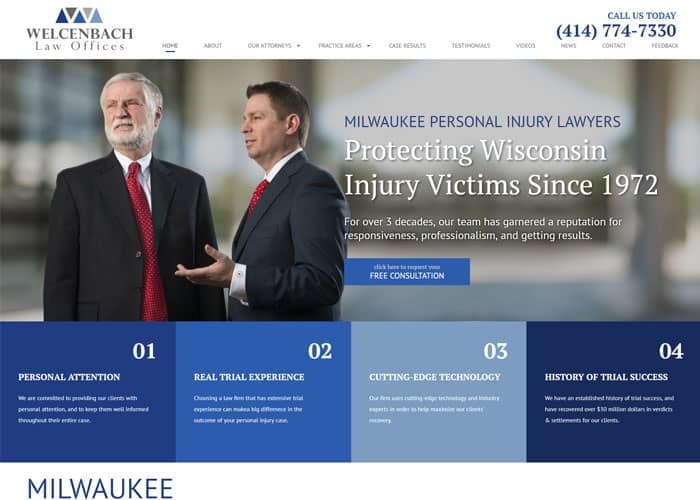 Welcenbach Law Offices sued Healthport on behalf of a personal injury client in 2013 and alleged that they had been overcharging all Wisconsin citizens to obtain their own certified medical records. The Wisconsin Supreme Court agreed and declared the charges were illegal. Healthport now faces having to refund the illegal fees plus $25,000.00 exemplary damages per violation. We have experience in helping people who were injured due to a creditor’s violation of consumer protection laws including the Fair Debt Collections Practices Act, the Fair Credit Reporting Act, and the Wisconsin Consumer Act. A debt collector or company is collecting from me and I do not own the money because I’m the wrong person. A debt collector or company is collecting from me and I do not own the money because the debt was already settled, paid or discharged in bankruptcy. Sending collection letters on a debt I discharged. Sending notices related to a house debt that I discharged in bankruptcy demanding payment of money. Making phone calls trying to collect on debt I discharged. Reporting discharged debt on my credit report. Review of an existing account. In connection with an unsolicited firm offer of credit. As part of an application for credit. A debt collector or company is making unwanted calls to my cell phone including robo-calls trying to collect a debt. My bank or credit union took money from a checking or savings account to pay a credit card late fee, over-limit fee, or for another reason. I’m being charged illegal or excessive fees by a bank, credit card company or governmental entity. If you have questions on any of these violations, contact the Milwaukee, Wisconsin consumer lawyers at Welcenbach Law Offices. Our skilled attorneys are standing by to help you determine if you have a case. Our initial consultations are confidential and free of charge. Call (417) 774-7330 or fill out our convenient online contact form.